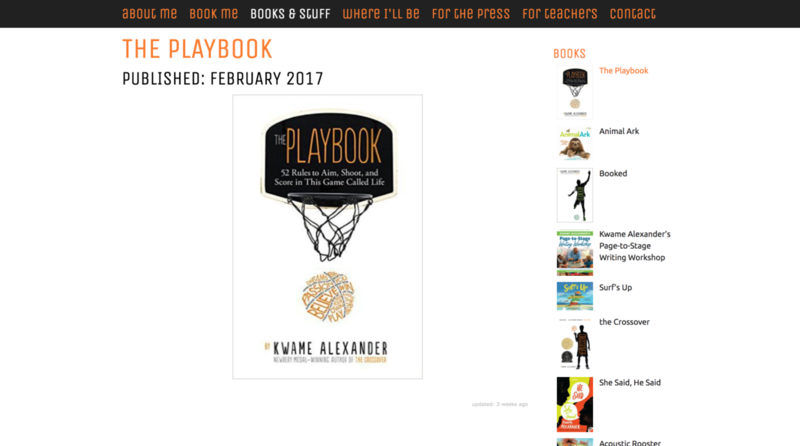 Kwame's site has a long scrolling homepage with unique information but also links deeper into his site. We started with a hero graphic with a call to action, information about the author and more links below that. 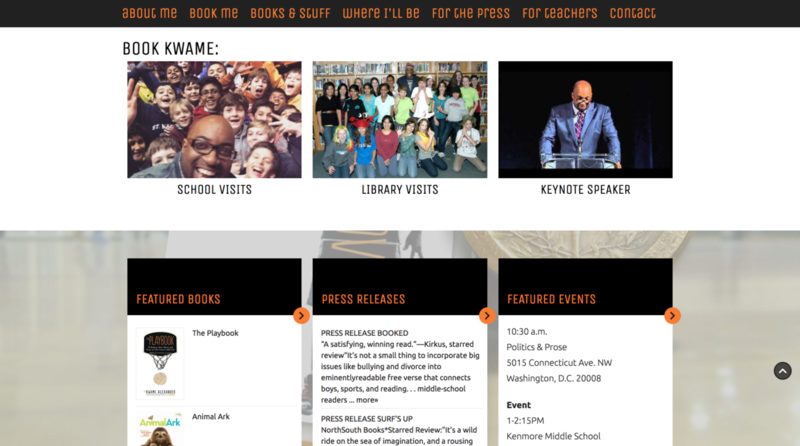 Here we showcase Kwame's main areas of action - to book him for workshops and speaking appearances. Below that we have links to his works, events, and news. 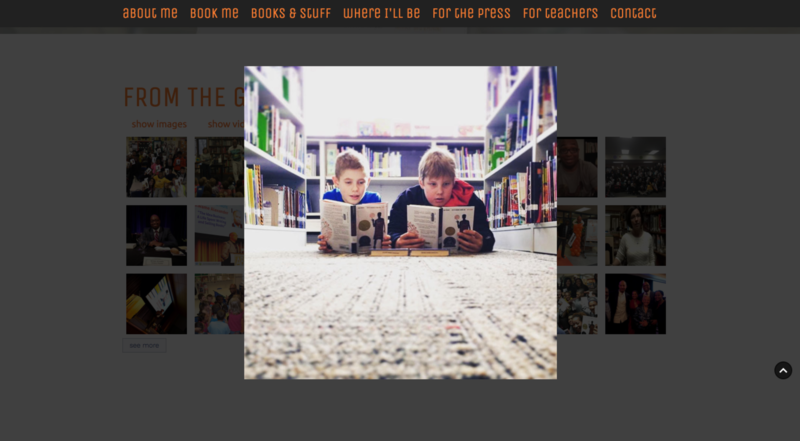 This encourages greater visitor interaction from the homepage. 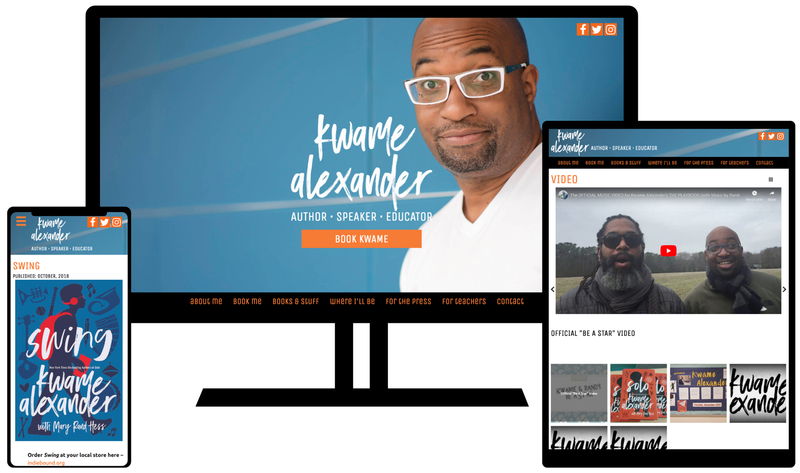 Kwame has a complete gallery of photos on the gallery pages of his website but a simple gallery of thumbnails and popups allows visitors to get a quick glimpse of some from his homepage. 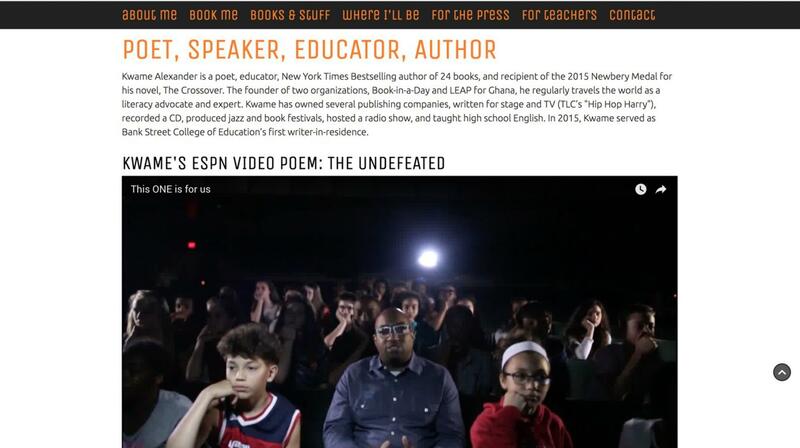 Here Kwame can feature and describe each of his books in detail with links to where to buy. Each entry is automatically added to the sub-navigation to the right, keeping navigation between his books easy and intuitive.